Danielle is a San Francisco native who grew up in the Bayview and earned her BA in Liberal Studies from San Francisco State University. Prior to joining the YouthWorks team she worked for SWEP, a former JCYC Workforce Program. In her spare time she enjoys traveling, listening to music, and trying new foods. 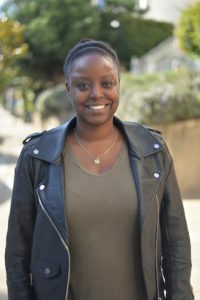 Danielle currently oversees internships with the San Francisco Recreation and Parks Department and the Department of the Environment.